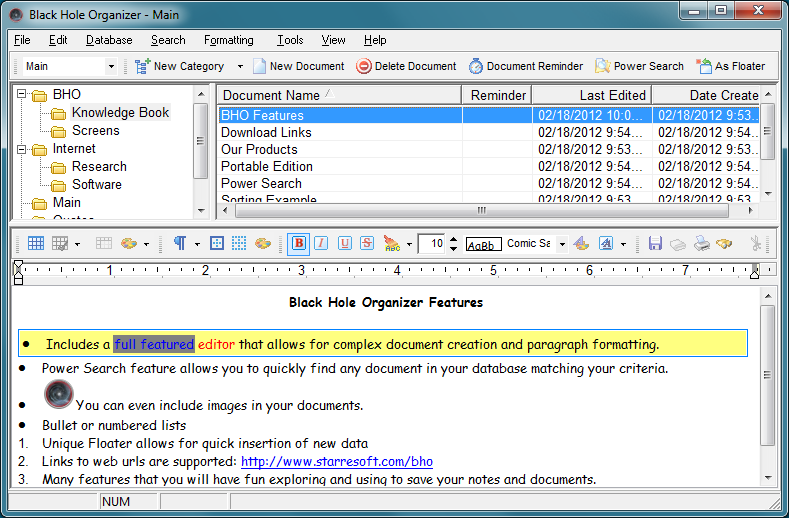 Black Hole Organizer Software - is a free-form, web enabled information and document manager. Used for storing and retrieving all your notes, snippets, tasks, and document management information application. From StarreSoft- Free 30 day Trial Download Available - See for yourself. Fast, Simple, and Easy to use. The cost for this software is only US$24.95. This gives you full use of the program. It is a one time fee and gives you email Support via our Help Desk, along with all updates and upgrades for a period of twelve (12) months. The period begins on the original purchase date. The Fully Functional Try-Before-You-Buy Trial is good for 30 days. Here is a list of some of the features that are included in this award winning software package, along with a few screenshots of the system interface. We hope you enjoy it and find it as useful as we do. * Recognized for years as the best of breed. * Quickly store and retrieve any information you have. * Hotkeys allow you to quickly insert documents without having to leave the program you are using. * Keeps any plain text or RTF document, including images! * Create tables, format paragraphs, and more!. * Create hot links to other internal documents, web sites or even to local files. 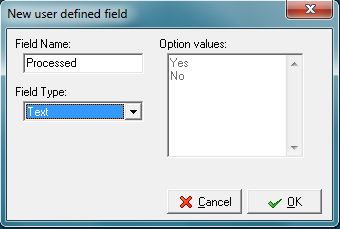 * Create any number of categories and documents. 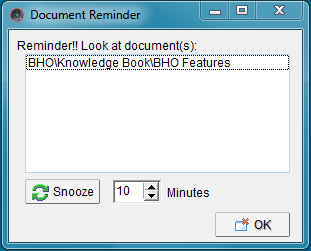 * Set reminder alarms for important documents to remind you of tasks to be completed or even web sites to visit. * Saves automatically, so no chance of forgetting. * Email documents to your friends from within! * Export documents to TXT or RTF files. 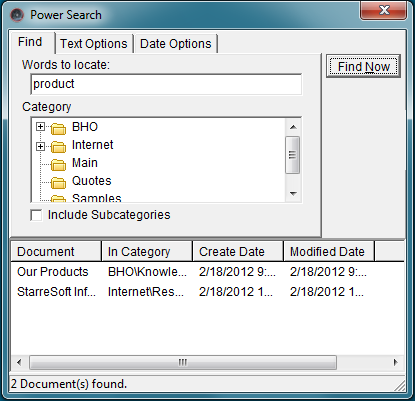 * Powerful 'Explorer like' Find feature lets you find text in any document quickly and easily. * Import text documents from your system. * Drag and Drop supported. * Custom columns let you organize your data more efficiently. * Free upgrades/updates for a period of (12) months from date of purchase. All of our software comes with a free 30 day fully functional trial. This will allow you to fully try it out to see if it is the right solution before purchasing. When you decide to purchase, you can return to this site and pay for it using one of many different purchase options. Visit our on-line store for more details. 1993 - 2018 Starre Enterprises, Inc. All Rights Reserved.